"Eventually" is Paul Westerberg's second solo album, originally released in 1996, which has never been issued on vinyl until now. 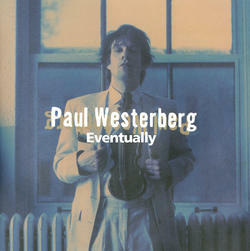 Coming 3 years after his solo debut "14 Songs" put his legendary band The Replacements to rest, "Eventually" is the most introspective album he made up to that point in his career. Although it's not as loud or brash as his earlier material with the 'Mats, it does have a couple of all out rockers such as "You've Had It With You", but the song writing on the album is more subtle and personal. Mellower gems such as "Good Day" (inspired by the death of former Replacements guitarist Bob Stinson), "MamaDaddyDid" and "Hide N Seekin'" hit home with power. On 180 gram vinyl from Plain Recordings with a 4 color printed inner sleeve.